This blog is a way to communicate to our whole community. Some posts will be focused on sharing the amazing events, teaching and learning happening at Killara. Others will be focused on sharing the best EduTech (Educational Technology) and innovative teaching techniques to equip our teachers with the best and most up to date knowledge and skills to support students. 21st Century skills referred to the soft skills students required to prosper in a ever changing world. Here is the presentation I gave as an introduction to the Teacher Techno Lounge and the 21st Century Learning dimensions last term. These dimensions will be used to frame the training of technology skills to drive contemporary learning at Killara High School. 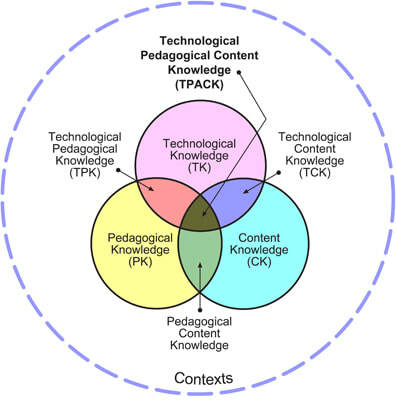 There is further information and professional readings found in the tools by 21st Century Learning dimension page in the Teacher Techno Lounge. 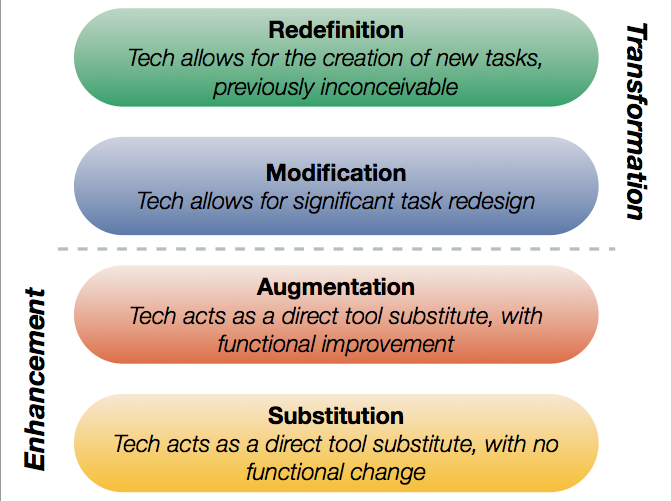 These dimensions are an effective way to evaluate at what level the activity drives e.g. Collaboration. See the rubrics below. Each blog you will find the latest news, pedagogies and ideas curated from web globally. I look forward to sharing a broad range of ideas with you all over time. Please comment and share your experiences. Together we can share and improve together. I’m an ancient historian by trade, so I am always thinking about the ways in which we can connect SRE to the ancient and modern sites of the world. I’m really interested in exploring the implications of the historical-geographical aspects of what we learn. This is a way that SRE, a multi-disciplinary subject, can focus on critical thinking and the openness to new and historical ideas. For those who have met me and know my intense enthusiasm, I’m sure you can guess that my students know that I want them to be critical thinkers! However, like any personal interest we have as teachers, a small part of us dies when our students don’t share that passion. When it’s not relevant. Or worse, when it’s just boring. Sigh. I read up on Google Expedition using the new Google Cardboard. I trialled it in my Year 10 class, and it worked brilliantly! Google have designed a platform where students, ‘the explorers’, are led by ‘a guide’ (their teacher) through collections of interactive 360° and 3D images. Google have created brilliant, interactive images alongside relevant information and helpful questions, facilitating teachers through the guiding process of leading their class. 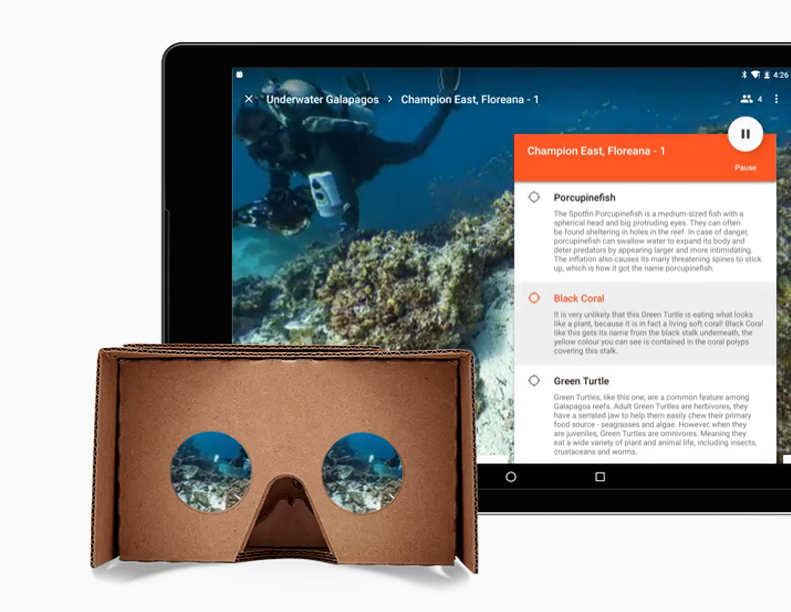 Google Expeditions includes important reference points, and gives the guide the ability to ‘point out’ locations as students engage with their own Device. Between the teacher’s device and the students’ devices, the entire classroom sets out on an ‘expedition’. Google have created an amazingly simple box viewer that is compatible with students’ smartphones. All students need to do is insert their smartphones into the viewer, connect to the same WIFI network as the rest of the class, and then you’re ready. Everyone views the expedition through Google cardboard, experiencing the image projected through their smart phones as a virtual image. When I read about Google Cardboard and Expeditions I was inspired, and so brought four Google Cardboards into my Year 10 class to experiment with this new technology. Google have marketed this as an accessible means of bringing VR technology into the classroom. And it was accessible! There were teacher materials at the ready, simple compatibility between smart phones and Google Cardboard, and an inspiring amount of engagement from students. In my lesson, I took students to some ancient sites of Jerusalem, and they described what they saw to their classmates before sharing their Google Cardboard around. They were fascinated! Virtual reality is often associated with gaming. It’s the kind of totally immersive technology that brings gaming worlds to life. Google has developed this classroom technology brilliantly to mirror that same immersive experience, for the sake of education. There is a vital negotiation of both directed and self-guided learning, and a real consciousness of how it practically works in the classroom. I’m really interested in how we can use VR to engage our students in the 21st century learning environment. Many old technologies don’t cut it anymore. There is so much more available to our teens at home. I’m passionate about meeting students where they are at, and modernising education for the purposes of collaborative learning. And this was so collaborative and so engaging. I’m also really interested in the recent conversation about the links between VR technology and empathy (see projects such as https://www.projectempathyvr.com/). In a world of great distance and isolating and individualistic technologies, I’m passionate about seeing technology used to bring people together, to develop critical thinkers, and to facilitate the experience of learning from and learning about one another. This is so important for our sense of engagement and social growth in our current world today. I hope I can inspire you to explore VR technology in your own classrooms. How exciting that technology like this has become accessible to us in such a simple way! Let’s use it to teach our students to think critically and openly about the world in which we live. The possibilities seem so infinite right now! What do you think? Comment below. I am very excited to join the Killara community as Head Teacher Secondary Studies (Technology and Learning). Bring your own device (BYOD) is an important program launched at Killara this year and has been very successful. We have an unswerving commitment to prepare students for an increasingly accelerated technological society. Just putting devices in the hands of our students and expecting them to suddenly know how to be 21st Century learners is not enough. We must create a learning environment where students use technology ubiquitously to solve real world problems that link to communities locally and globally. For our student's to prosper in the new work paradigm they must be independent life long learners, who are creative, versatile and adaptable. In response to these challenges, education systems across the world are changing teaching and learning practices to prepare our students for the new world order. ​The Killara BYOD Learning Hub has been created as a blended approach to learning which builds students "soft skills" through collaboration and enabling them to regulate their own learning. This will be a space for the whole Killara community to improve technology skills, celebrate innovative teaching and learning approaches and preparing our students for success in our technological society. Enjoy and please place a comment below.